Sendle has introduced their 2-Day Delivery Guarantee program to provide eBay sellers with the confidence to participate in eBay Guaranteed Delivery (eGD). With Sendle’s 2-Day Delivery Guarantee, you’ll be provided with a 2 day guarantee (from the time of pick-up) across selected regions and eligible product categories. What is eBay Guaranteed Delivery? Sendle is one of Australia’s highest rated courier companies* delivering parcels to almost anywhere in Australia. Sendle is providing eBay sellers with a 2-Day Delivery Guarantee program to support the eGD program. The 2-Day Delivery Guarantee will provide you with the confidence to participate in eGD, knowing that your items will be delivered on time, guaranteed. Sendle will credit the delivery cost of the parcel, if the parcel is not delivered within 2 business days after the pickup scan**. Please ensure that you upload your Sendle tracking number correctly into our system as Sendle won't be able to credit you back if the number is invalid. Sendle’s 2-Day Delivery Guarantee does not include your handling time. This means if you have a handling time of 1 day, then your delivery guarantee will need to be specified as 3 days. For larger sellers who sell more than 200 parcels per month and use daily pick-ups from Sendle's couriers, their guaranteed timeframe will be specified as 2 days. Why should I sign up to Sendle’s 2-Day Delivery Guarantee program? Your seller performance will not be impacted - We will not penalise you for delays caused by the courier company. Sendle provides simple and reliable parcel delivery at affordable prices. Check out Sendle’s plans and rates to see what best suits you and the 2-Day Delivery Guarantee regions available. Sendle’s 2-Day Delivery Guarantee has expanded with 10 new zones including Hobart, Perth, Adelaide, and the Sunshine Coast! Fast and accurate delivery dates are a key factor for online buyers. Through eBay Guaranteed Delivery, eligible sellers can give buyers an exceptional delivery experience by guaranteeing delivery of an item within 4 days. Research shows that shoppers are 45% more likely to purchase if they have confidence the item will arrive within 2-3 days*. Through eBay Guaranteed Delivery, items that can be delivered in under three days will be highlighted to buyers through an exclusive Guaranteed Delivery toggle. Buyers will also be able to filter their search results to display only items that can be delivered within four days. Through the program, you can give buyers an exceptional delivery experience by guaranteeing delivery of an item within 4 days. As the holiday season approaches, be sure to check out Sendle's holiday opening hours and transit cut-off times to ensure there's no disruption to your business. Sendle is one of Australia’s highest rated courier companies*, and can deliver parcels to almost anywhere in Australia and the world. What is the Sendle 2-Day Delivery Guarantee Program? To support eBay’s Guaranteed Delivery, Sendle has tapped into the eGD network and built a back-to-back 2 Day Delivery Guarantee Program. Sendle will provide eGD sellers a delivery guarantee that will allow them to offer a 2 day delivery (from time of pick-up scan; seller handling time is not included) guarantee across selected regions and eligible product categories. How can I sign up for Sendle’s 2-Day Guaranteed Delivery Program? For more information and details on how to sign up to Sendle’s 2-Day Guaranteed Delivery Program, please visit Sendle. Does Sendle charge any additional fee for this program? No, there is no additional charge for Sendle’s 2-Day Delivery Guarantee Program for qualified eBay Sellers. Qualified eBay sellers also get Sendle Premium at no additional cost, valued at $120 per year, which also gives them $1 off every delivery. Larger sellers also get access to Sendle Pro, with rates starting from $5.75. Based on your needs and volume, Sendle may be able to offer additional discounts above the Free Sendle Premium offer to eBay sellers. If you'd like to talk about a Sendle Account upgrade, please contact the Sendle Business team. What are the areas/postcodes and their Estimated Delivery Dates covered by Sendle under the Sendle 2-Day Delivery Guarantee? The 2-Day Delivery Guarantee will only apply to specific regions/postcodes. You can check the eligible pick-up postcodes and the eligible delivery postcodes here. What are the products/items/categories covered by Sendle under the Sendle Delivery Guarantee? Sendle will send parcels nationwide from 0.5kg Satchels. The maximum parcel weight is 25kg and the maximum volume is 100L (0.1m3). Here are Sendle’s Size and Weight Guidelines. There are some items that are prohibited from sending on Sendle: List of prohibited items on Sendle. Please note: The criteria may change from time to time. It's recommended that sellers check Sendle's website for potential updates. Can I use Sendle for my non-eGD orders? Yes, you are able to use Sendle for your non-eGD parcels as well. However, you won’t be eligible for the Sendle 2-Day Delivery Guarantee. How do I book a parcel for pick-up with Sendle? Handover the packed and ready parcel to courier. When can we expect Sendle to cover more areas as part of Sendle’s 2-Day Guaranteed Delivery? eBay understands that Sendle will continue to add more postcodes and regions into the eGD coverage network. How does pick-up work with Sendle? Sendle is a door-to-door courier service that offers free pick-up. Once you book a parcel(s) with Sendle with your preferred date, Sendle will arrive at your doorstep to pick-up the parcel(s). It's important that you keep the parcel packed and ready with a Sendle label stuck to before the couriers arrives for pick-up. What is covered under the Sendle 2-Day Delivery Guarantee? If Sendle fails to meet the 2-Day Guaranteed Delivery promise as described above, it will credit back the corresponding shipping charges to the Sendle Account. Please note: Please ensure that you upload your Sendle tracking number correctly into our system as Sendle won't be able to credit you back if the number is invalid. Proof that the customer claimed the guarantee against you. This will be a screenshot of the eBay invoice where the order was refunded. Send this information to Sendle by filling out this form within 30 business days of parcel delivery. Don’t forget to include the evidence as an attachment. Sendle will verify that this parcel is covered by the guarantee, and will then credit your account with the total shipping cost you paid. This verification may take 2-3 business days, and if successful the credit will appear in your account immediately. For more information, please visit's Sendle's website. Is there a limit to the claim amount? The claim amount cannot exceed the postage fee paid to Sendle. If it does, only the postage fee amount paid to Sendle will be credited into the Sendle account. What if there was no delivery scan? In some cases, a parcel might not be scanned correctly on delivery. In this case, there may be a delivery scan missing. In these cases Sendle will conduct an investigation to confirm the delivery date. How is eGD different from parcel insurance? Parcel insurance typically covers the content of the parcel in case of damage/theft/loss in transit. eGD recompenses the shipping cost (courier fee) to the buyer and seller in case the courier delays the parcel delivery beyond the guaranteed time frame. If the item is not delivered in the eGD timeframe will it affect my seller ratings on eBay? At this stage, eBay will not penalise the merchant for delays by the courier company. If this changes, eBay will notify the merchants in advance. However if the delay is due to seller fault, then the seller will receive a defect towards their Late Shipment Rate. If a seller exceeds 5% Late Shipment Rate, they will fall to Above Standard seller status if they were previously an eBay Top Rated Seller. eBay is providing an increased Late Shipment Rate allowance of 10% to sellers until 30 June, after which point sellers will be accountable for late deliveries. Where can I cross-check if the refund was processed and has arrived? Is eBay Guaranteed Delivery a part of Sendle's 2-Day Delivery Guarantee? No, they are two separate guarantees and eBay is not responsible for performance of any obligations to do with Sendle's 2-Day Guaranteed Delivery Program. Please contact Sendle for any questions regarding Sendle's 2-Day Guaranteed Delivery. 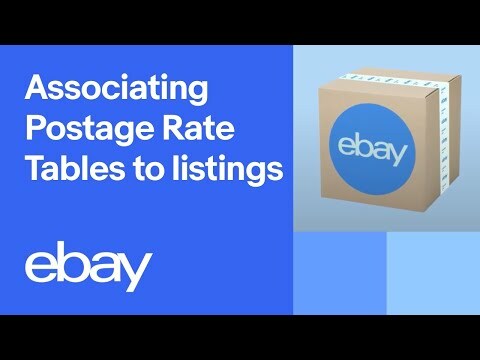 Why is eBay introducing this new feature? Fast and accurate delivery dates are a key factor for online buyers. Based on eBay data, more than 50% of eBay items are delivered within four days*. This feature - with the added benefit of a guarantee – will make it clear to buyers that they can get their items delivered within a certain timeframe and drive velocity for you. *Based on eBay’s internal data 2016-2017 (12 months’ data). If I opt-in, do I have to guarantee all my listings? No, you select only the listings you want to guarantee delivery for. You must also accept returns for these listings, use tracking, and offer immediate pay. I tried to opt-in for eBay Guaranteed Delivery but I can only register. Why? We're opting in sellers who currently meet the necessary eBay Guaranteed Delivery requirements as listed above in the 'Offering eBay Guaranteed Delivery' section. Don't worry if you don't meet all the requirements just yet, you can still register. Once you've met all the necessary requirements, we'll be in touch to work towards getting you on board. How does the eBay Guaranteed Delivery search filter work and how does it impact listing visibility in search? To filter listings by a guaranteed delivery date, buyers can simply click a button at the top of the search results, and eBay Guaranteed Delivery listings will surface in the results. If buyers do not use the filter, search results will not change based on eBay Guaranteed Delivery. If a seller does not meet their Guaranteed Delivery commitment, what is the impact on seller standards? At this stage, eBay will not penalise sellers for delays by the courier company. If this changes, eBay will notify the sellers. However if the delay is due to seller fault, then the seller will receive a defect towards their Late Shipment Rate. If a seller exceeds 5% Late Shipment Rate, they will fall to Above Standard seller status if they were previously an eBay Top Rated Seller. eBay is providing an increased Late Shipment Rate allowance of 10% to sellers until 30 June 2018, after which point sellers will be accountable for late deliveries. What happens if a guaranteed item arrives late due to weather delays? eBay will protect the seller and reimburse the buyer (except the item cost refund if requested by the buyer) when guaranteed items arrive late due to major and unexpected weather events. Will buyers be able to also claim for a postage refund by claiming an item is "Significantly Not As Described (SNAD)"? No, sellers will be protected from double paying. Is there a cost to participate in eBay Guaranteed Delivery? No, there is no cost for buyers or sellers to participate in eBay Guaranteed Delivery. Is the eBay Guaranteed Delivery program available when I sell internationally? No, this program is only available for domestic Australian orders. However if you sell with a US account you may be able to participate in the US program. [ANSWER]You will be able to override eBay’s Estimated Delivery Dates with your own timeframes, provided by your carriers. For example, if you know that you can deliver an item in 3 days and are able to provide tracking, you will be able to update this in your postage rate tables. Can I opt in my Auction listings? No, only Fixed priced items can be opted into the program. Find out more information on eBay Guaranteed Delivery.